If you want to tap into China’s e-commerce market, the first thing you need to know about are the online shopping festivals. You may have heard of Alibaba’s very successful Double 11 Shopping Festival, which is two and a half times bigger than Black Friday and Cyber Monday combined. But that’s not where it ends for shopping carnivals in China. More and more e-commerce platforms have established their own festivals to draw customers and drive sales. 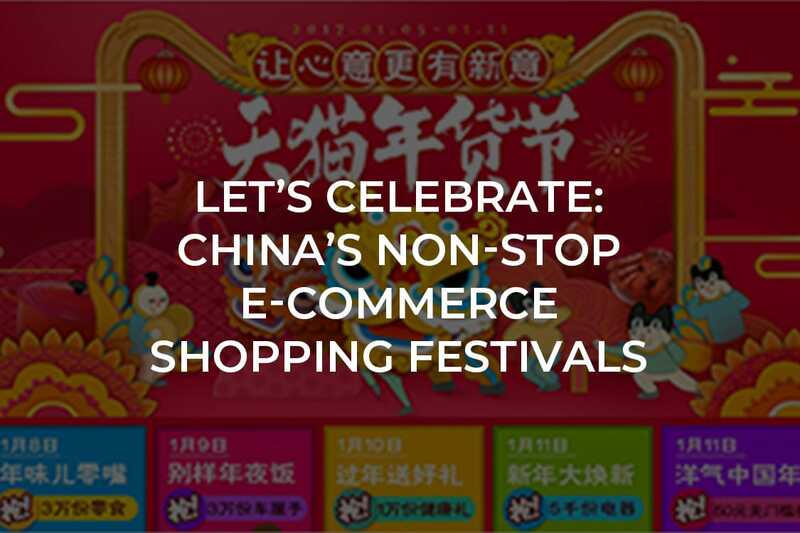 In this article we’ll give you an overview of China’s biggest e-shopping festivals. How many of them have you heard of? Which are new to you? Ban Niao Huo (办年货) is a Chinese custom before Chinese New Year / the Spring Festival. It refers to the period before the holiday when people are shopping and getting prepared. E-commerce platforms like Alibaba and JD, always start mega-sales 2 weeks prior because all logistics and delivery services halt for 7 days during the festival as the whole country goes on holiday. Popular items are home appliances, food, drinks and gifts for children. Post-80s and Post-90s consumers accounted for nearly 80% of total consumption during Tmall’s Nian Huo festival last year. Although it originated in the West, February 14th has become an increasingly popular day not only for couples in China, but also for some single people. From Tmall to Jumei, an online retailer of beauty products, most platforms have good deals on gifts for women such as handbags, accessories, skincare and makeup products. We all know that Mar 8th is International Women’s Day. In China, this day is associated with married middle-aged women and made young women feel left out. So some university students created the Girls’ Day on Mar 7th as a way of celebrating girl power. Gradually more and more young women joined, making it an unofficial festival in China. Seeing the increasing consumption power of this generation, e-commerce platforms also joined the trend and started sales with related themes, such as Tmall’s Queen Festival, JD’s Butterfly Festival, Suning’s Girl Friends’ Day and Jumei’s Goddess Festival. Suning.com, the largest online retailer of home appliances in China, with 20% market share in 2017, has chosen Apr 8th as a promotion day for home appliances and electronics. Items such as smart televisions, refrigerators, laptops and smartphones are discounted. This year’s 418 festival introduced the idea of “smart home, smart life” (新电器生活主义) with support for items related to the Internet of Things. 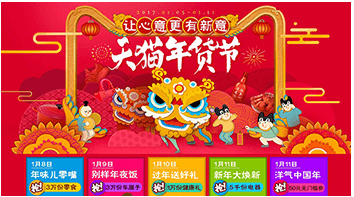 The Men’s Festival is one of Tmall’s key campaigns in the first half of the year. Discounts are offered on apparel, suits and ties, skincare items, healthcare supplements, electronics and even automobiles. It also incentivizes women to purchase items for men. Chinese culture treasures the value of “filial piety”, or respect for one’s parents and grandparents. As in many cultures, this is especially so toward mothers, so this day fits very well into traditional Chinese culture and has given rise to extensive shopping events for Mother’s Day. For instance, Tmall ran a promotion themed “Love your mom and give her the best,” and JD had a campaign focused on treating mothers well featuring advice for on how to make mothers happy. In Mandarin, the pronunciation of “520” is similar to “I love you” (我爱你). So May 20th is known as China’s Valentine’s Day. It’s mostly celebrated by couples but also extends to family and other loved ones. Alibaba’s Taobao and Xianyu, China’s online auction platform, had different approaches to the 520 festival. Taobao ifashion, which is basically a promotion portal for fashion items on Taobao, ran a “520 Expression Day” campaign to recommend relevant products for couples and families, while Xianyu launched a series of auctions on luxury items, artwork and automobiles with endorsements from influencers and celebrities. It’s the largest auction on the platform. Tech-savvy Post-80s and Post-90s consumers are becoming young parents and many of them are heavy online shoppers who purchase a lot for their kids so online retailers use this day to try to increase sales. Their Children’s Day promotions usually start from the last week of May. Hot items includes clothes, shoes, toys, theme park tickets, childcare products and more. Founded on June 18th, 1998, JD, the second largest e-commerce giant in China after Alibaba, rolls out promotions every year on its birthday. 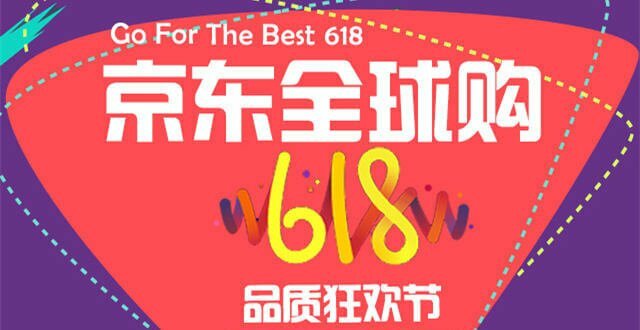 JD’s 618 has developed into a big affair on a par with Alibaba’s Double 11 Festival. Last year’s 618 festival recorded US$17.6 billion in transaction volume. Suning.com, the top online marketplace in China specializing in electronics, established the 818 Fever Shopping Festival (818发烧节) to celebrate its anniversary on Aug 18. Home appliances, groceries, smartphones, and finance products are discounted up to 50% during the festival. In response to Suning’s promotion, Tmall and JD.com also joined the game by launching back-to-school sales campaigns and member-exclusive discounts during the same period. Alibaba’s Jack Ma designated the dates for a wine and spirits festival in 2016 because the number “9” has the same pronunciation as wine in Mandarin. During the 9-day promotion, Tmall offers good deals for wine, Chinese Baijiu and other alcohol. Alibaba’s Double 11 Gala is China’s most prominent shopping extravaganza. It was first started as a small-scale promotional event organized by Taobao on November 11th, 2009. Back then, the number of participating merchants was limited, but the conversion rate was far higher than expected. This led to November 11th becoming the confirmed date for Alibaba’s annual mega sale. Last year, the festival set a new record in its total gross merchandise volume, reaching over US$ 25.3 billion. Black Friday isn’t just an American thing. Chinese shoppers also use the occasion to buy discounted foreign products through cross-border e-commerce platforms. One example is e-commerce site Xiaohongshu (“Little Red Book”) whose members are mainly young women. It runs “Red Friday” sales from late November to early December while its competitor Ymatou, uses the term “Black Friday”. Other online marketplaces offer limited deals rather than making it a mega-sale occasion. Extending the success of the Double 11 Festival, Alibaba launched the Double 12 Shopping Festival to cater to customers who were still hungry for deals after Double 11. Taobao and Tmall host a year-end sale on the day, though the sales numbers are not as impressive as on Double 11. Starting from mid-December, many places in China’s big cities are filled with Christmas atmosphere. Although Chinese people might not be super-passionate about the festival itself, many of them look forward to online Christmas sales. They buy gifts and new clothes for the new year. In China, online shopping is an accepted part of life. People buy everything from fresh vegetables and seafood to appliances and automobiles online. Given the large demand in the market, e-commerce platforms work hard to create incentives for online shoppers, resulting in the many shopping festivals in China. If your brand wants to maximize e-commerce sales, you need to understand the big e-shopping festivals and coordinate your marketing strategy with them in mind. How many of the above festivals have you heard of? Which are new to you? Leave a comment below. We’d be happy to answer any questions you may have. 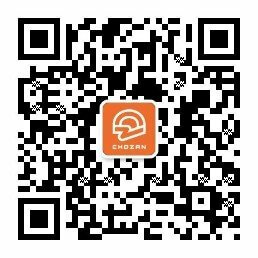 To get deeper insights into Chinese social media marketing and utilizing it to serve your business, join ChoZan, a training and resources platform for Chinese social media marketers. Please follow our official WeChat account to get more updates about the latest news, feature updates and case studies.